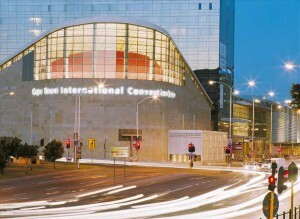 Located in the hub of the city’s beautiful northern foreshore, the Cape Town International Convention Centre is a cosmopolitan showcase where ideas and cultures from around the globe are able to meet and mingle against the stunning backdrop of Table Mountain. World-class standards and specifications mean that the CTICC is not only designed to meet any conference or event expectation, but also ensures the experience as a whole is an unforgettable one. Two auditoria with superb acoustics, top-of-the-range technology, and ergonomically designed seats featuring writing tablets, provide ideal venues for large formal gatherings, lectures, awards evenings or even theatre productions. Spacious and subdivisible, meeting rooms of varying sizes, can be set up to suit a variety of functions or presentations.